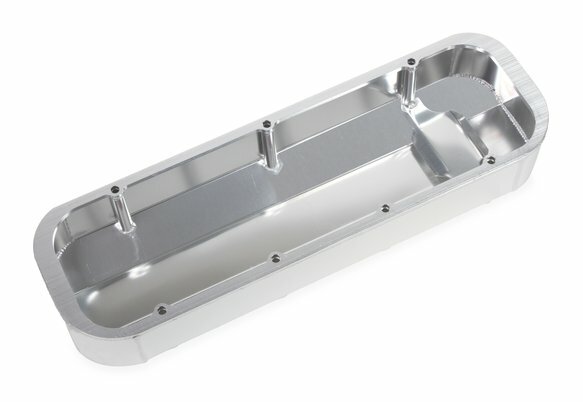 Quick Fuel's race-inspired fabricated aluminum valve covers are available with 1.25" breather openings or without openings for use with vacuum pumps or dry sump engines. 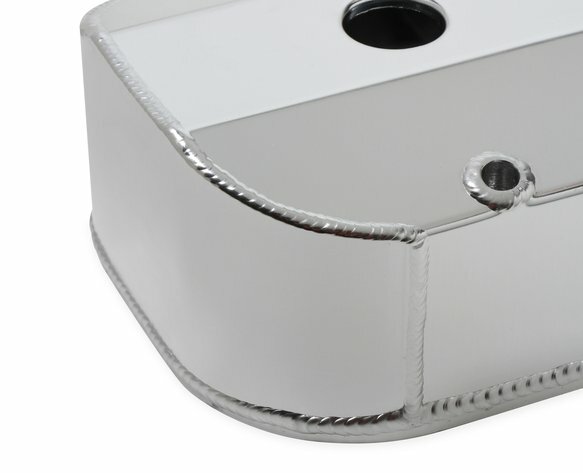 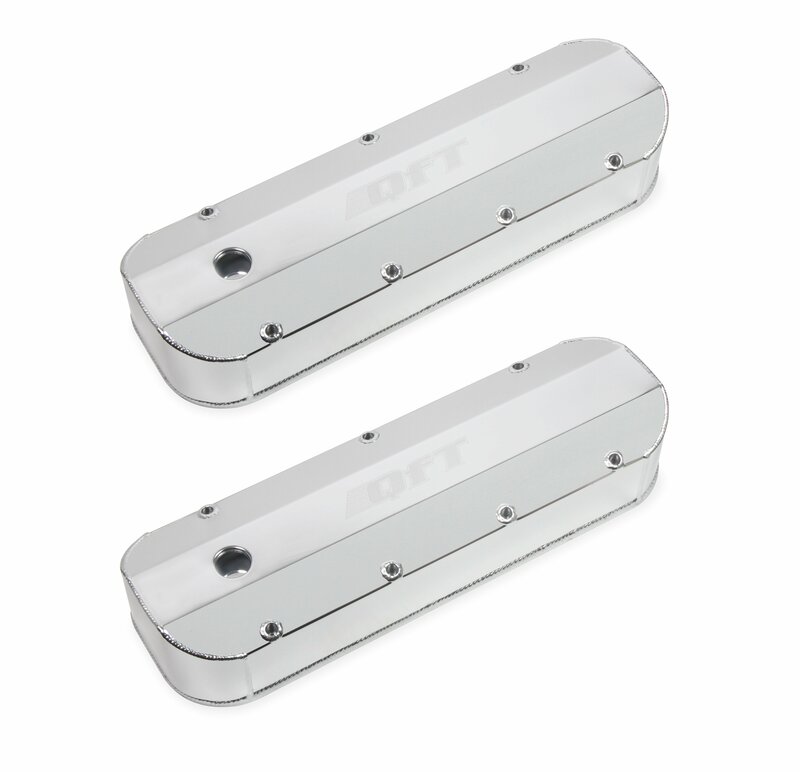 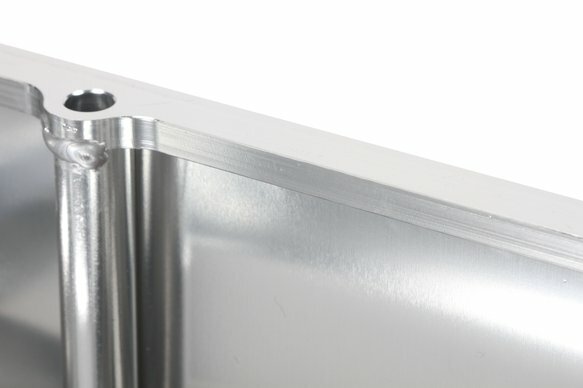 These lightweight but durable valve covers are constructed of 6061 T5 sheet aluminum with a 1/4 mounting flange, feature a laser etched "OFT" logo, and precision TIG welded for a proper fit. 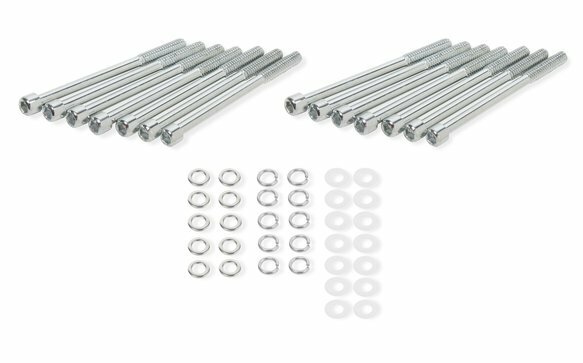 They are available in silver anodized or black coated finishes along with heights to clear most popular rocker arm combinations. 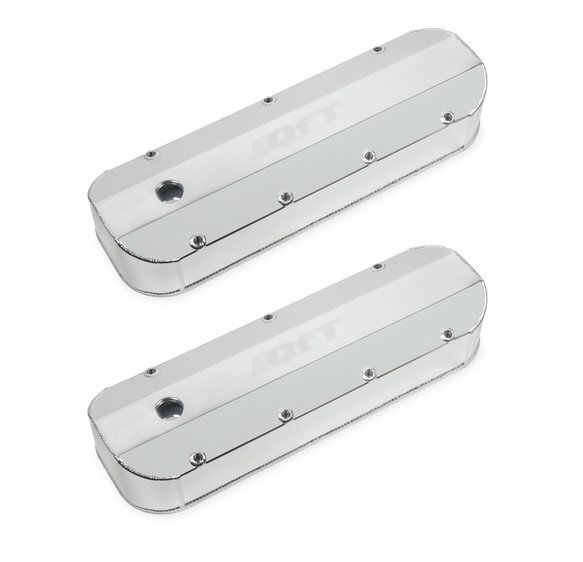 All of our valve covers include mounting hardware for quick and simple installation.